Jeff and Jennifer Lewin have owned Blizzard since 2004. Jeff started skiing with Blizzard in Color Level Blue when he was about 10 years old. He learned to teach in the Apprentice Instructor program, passed Blizzard’s Rainbow Exam and began teaching in 1985. Jeff was a professional ski instructor in Utah, Colorado, Australia, and Austria during and after college at the University of MN. He’s also been an NSP Patroller and USSA race coach and is PSIA/AASI Level 3 Certified in both skiing and snowboarding. He served on the PSIA/AASI – Central Division Board of Directors and as an Examiner on the Central Division Education Staff. When he’s not on the snow, Jeff works full-time in engineering management. Jennifer has a Master’s Degree in Special Education and Non-Profit Management. She enjoys skiing — especially in the mountains during sunny spring days — but doesn’t get much time on snow due to dance-related knee injuries. Jen has worked in executive leadership roles at several non-profits. Jen & Jeff’s three children, Max, Simon and Devra, also share the family passion for snowsports. Throughout high school, Mike approached skiing like any other high school teenage boy…by bombing every hill and praying his legs were strong enough to snowplow into a somewhat controlled stop. After terrorizing other skiers at Welch Village with his friends during the school ski outings, Mike finally learned how to ski at Mt. Ripley while attending college in Michigan’s Upper Peninsula. Mike’s passion for skiing was reinvigorated in 2009 when he became a Blizzard Chaperone while his son joined the Mites program. Three years later Mike was instructing Kindergartners and 1st Graders in the Mites program, and he got his PSIA Level I certification during the 2014/2015 ski season. As a Blizzard Program Director, and an Instructor, Mike’s goal is to provide a learning environment that will encourage the kids to have as much fun on the slopes as he did when he was young, but with the easy and fluidity of a confidently trained snow rider. Katie Smyth’s passion for skiing began at 8, when school had a snow day, and her grandfather took her skiing for the first time, and that’s when it all began. Katie’s family then enrolled into the Blizzard program. Her mom was a ski instructor, and her dad was a chaperone. She grew up in the Blizzard program, and by high school was in top black. She completed PSIA Level 1 certification her senior year and PSIA Level 2 shortly thereafter. After taking some extensive time off from skiing, and living in upstate New York, and Wisconsin, she, and her family moved back to Minnesota, and immediately enrolled her son into the Blizzard snowboard program, and her daughter into the Mite’s program. After the Blizzard season, you’re likely to find the Smyth family out in Winter Park Colorado, where her parents have a vacation home. Sue Nelson’s passion for skiing is far reaching. She coached Edina High School’s Alpine Ski Race team to many MN State Championships and was Director of Jr. Race for Team Gilboa. Sue loves education and is a 43-year veteran elementary school teacher. She is PSIA Level 3 Certified and Children’s Accredited. Tom Hanske started with Blizzard at age 7 as a student and never left. His passion for teaching was ignited when he learned to teach skiing through Blizzard’s Apprentice instructor program. Tom is a PSIA certified Level 3 instructor and holds the Children’s Specialist 2 accreditation. His experience includes past director of the Apprentice instructor program and a Blizzard staff trainer. He has taught with Blizzard for over 40 years and enjoys teaching kids to ski. Susie Hatch is a Physical Education teacher in the Wayzata schools and has been a part of Blizzard for too many years to count. She is PSIA Level 3 Certified. Dave Nelson has had a lifelong love for skiing. He has been a ski instructor for 50 years, having taught many current Blizzard instructors! He brought 30+ years of racing knowledge to Edina High School’s championship ski team as the Head Coach. His accomplishments include: PSIA National Certification/Education Committee member for 10 years; PSIA-C Education staff for 30 years and now Examiner Emeritus. Dave is PSIA Level 3 Certified and also serves as Blizzard’s Director of Skiing. Paul Aasen is Head Coach for Team Blizzard and is well into his third decade of teaching skiing. He is PSIA Level 3 Certified, a former PSIA Examiner and Trainer, and coaches the Orono High School Alpine Team. Off season, he practices falling off a mountain bike. Dan Parcheta grew up in Blizzard and raced in USSA. He is a long-time Blizzard instructor and helped launch and build the Team Blizzard race program. Dan is PSIA Level 3 Certified and is known for his challenging race course sets! 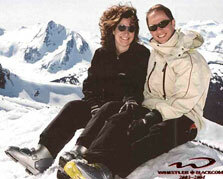 Jessica Parcheta learned to ski in Blizzard as a child and returned as an instructor in 2001. She joined the Team Blizzard staff as a race coach a few years later. Jessica is PSIA Level 3 Certified and enjoys introducing ski racing to new racers! John Tripp has a lifelong passion for skiing which began when he joined Blizzard as a child. His credentials include: Blizzard Rainbow Instructor (a graduate of the Apprentice Instructor program), PSIA Level 3 Certified and Children’s Specialist 2. He has been training Apprentice Instructors since 1990. John has had two daughters come through the program and they still agree that the best hot dog is from Blizzard’s Picnic Day! Susie Hatch has been in Blizzard since she was 8 yrs old. She became an Apprentice Instructor at age 15 and an instructor at 18. She is PSIA Level 3 Certified. As an Elementary PE teacher, her teaching skills shine as she shares her passion for skiing with others. Donovan Nash has been a lifelong member of Blizzard. He is a PSIA Certified ski instructor and an AASI Certified snowboard instructor. Donovan’s wife and children have also been part of the Blizzard family for many years. Ty Kier has been a Blizzard instructor for a decade and is AASI Level 2 Certified. Ty’s two children participate in Blizzard, and his son completed the Apprentice Instructor program. Blizzard has been part of Mike Gove’s family for nearly 20 years. He is PSIA Level 3 Certified, and his wife and daughters all attended and/or taught with Blizzard. Jim Rooney has taught with Blizzard for 35 years and grew up in the program. He was Blizzard’s freestyle instructor for 17 years, and several former students now teach for Blizzard. His three daughters grew up in the program and one is a current Blizzard snowboard instructor. Jim is PSIA Certified. His passion for the sport is evident in his students’ smiles! Kevin McCarthy’s passion for skiing started when he was 13 years old and he was invited by a friend to go on a school ski trip. Even though he never made it off the bunny slope after that first night he was hooked for life. Kevin has been teaching at Blizzard since 2003 when his two kids joined the program. Kevin is PSIA Level 1 certified and is a Level 2 Children’s Specialist. From Mid-November to Mid-April you are more than likely to find Kevin on the snow either instructing, clinicing, or just skiing for fun.